Today’s retail space is more competitive than ever. Multinational products now compete with local brands for shelf space and consumer attention. It’s a cutthroat market, and every inch of shelf space matters. How brands utilize their shelf space is more essential to their commercial success now than ever before, particularly in well-penetrated markets which have grown stagnant and ripe for decline. In 2017, carbonated soft drink manufacturers industry-wide posted negative growth rates for the first time. Whether due to the health food movement or consumer fatigue with the status quo, consumers are looking around for new brands and want to readily recognize familiar favorites. That’s what makes brand packaging so important. And here’s the best part: the market is experimenting! In 2018, we’re seeing the rise of new trends in beverage packaging as companies vie to appeal to consumers in new and exciting ways. One big design trend in beverage packaging is the notion of a premium product. With so many options within each beverage category, how does one product stand out from the others and spark an interest and engagement with the consumer? Consumers are used to water coming in bottles, so how can you make your product different? Easy: Make the packaging memorable and easy to spot when a consumer glances at the shelf. Some companies do this by creating unique shapes and branding for their bottles. Premium packaging takes this idea a step further. Recently, FIJI Water released a new water bottle with a sports cap attached to the top which targets active consumers in search of a great fitness companion. At the end of the day, it’s still water in a bottle but the premium design gives consumers something unique while allowing FIJI to strike partnerships with various fitness brands. One of the most important things about premium packaging comes down to simplicity. Customers like simplicity and convenience. Think about snack foods, where resealable packages and cup holder-sized containers have made a big play in the past few years. If a brand is looking for a way to stand out, premium packaging done right is a great way to do it, according to Roxanne McSpadden, Senior Manager, Marketing and Innovation at Graphic Packaging International (GPI), one of the world’s largest manufacturers of folding cartons, unbleached paperboard, coated recycled board, microwave packaging and machinery for consumer goods. “We’re seeing more packages with unique decoration options and more premium printing choices like high-gloss, metallic foils, and embossing,” says McSpadden. It’s no secret that the trend toward sustainable products is here to stay. Conservation politics and policies aside, the idea of sustainability and reusability strike a particular chord with Millennials and younger consumers even if they aren’t actively engaged in environmental efforts themselves. Purchasing products that can be recycled or products packaged in recycled materials is a great way to target a generation which cares deeply about corporate ethics and social responsibility. More importantly, sustainable packaging opens up new branding opportunities for companies looking to create a memorable product. Several bottle manufacturers work with glass and metal to create imprinted, embossed, shaped, and decorative molds for beverage companies. While this isn’t a new technology, it’s definitely a new method companies are using to innovate around their retail space. Sustainable packaging also gives companies an option to redesign their products completely. Some companies, like Boxed Water, have built an entire brand out of this simple but drastic consumer paradigm shift. Brands are also looking for ways to switch out materials like plastic rings and shrink wrap for alternatives that are considered more environmentally friendly. “Paper-based packaging offers several sustainability advantages. It’s made from renewable resources, it is recyclable and highly recovered,” says McSpadden. Imagine if every brand moved toward sustainability and away from plastics. Your grocery aisle would look vastly different. In a consumer market seeking variety and values, maybe that’s not a bad thing. Did you know that in the hyper-competitive craft beer market, 70% of shoppers pick what they want when they’re standing in the aisle? That’s a huge portion of the market which actively shops with an open mind. 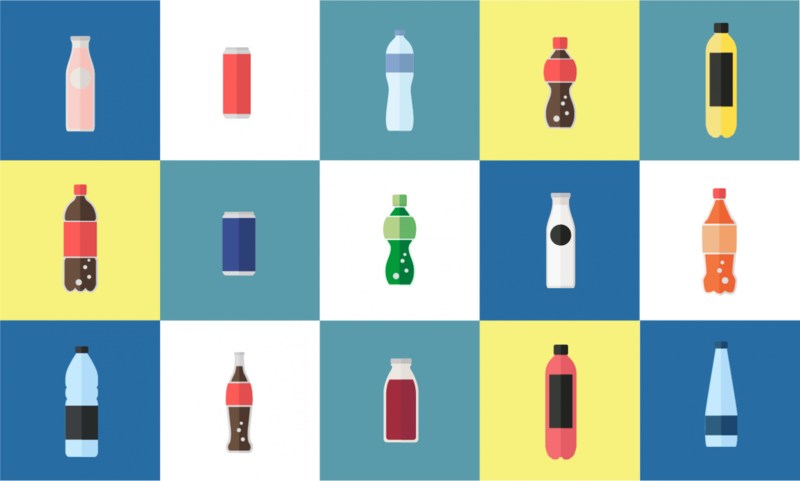 It’s wildly different than what you’d see in the carbonated soft drinks market, where consumers have preferences that are unlikely to change either due to taste preferences or brand loyalty. It also means that craft beer providers are forced to innovate their packaging in ways that make their product leap off the shelves if they want to sustain their sales. Whether using hand-drawn artwork, unique glass bottles or lightweight aluminum cans, or following current design trends, trying to stand out is creating innovation that sparks variety on the shelf. For some brands, however, variety may not be as nuanced as simply duplicating a design. This means that minor packing changes to keep products looking new and fresh to consumers are a big challenge that adds additional variety to an otherwise static space. Offering customers several container sizes to choose from and multiple product mixes within a package are other ways that brands are appealing to consumers love of variety and choice. The 4-pack of 16-ounce cans is a format that is growing in popularity over larger format containers. GPI sees beverage producers keying into this trend. “Sampler packs are increasingly popular, especially in the beer category, as a way to introduce customers to new options along with their favorites. Different package configurations also allow beverage producers to showcase seasonal offerings,” says McSpadden. Often overlooked in beverage and packaging design, e-commerce is a relatively small market slated for explosive growth over the next decade. Forrester expects the global online grocery market to double from $150 billion in 2017 to $334 billion by 2022, powered by increased investment by retailers in the online channel. Currently, online grocery is predicted to take 25% of the market share by 2025, with the beverage market considered to a subsection of that industry. Right now, companies have time and space to experiment with their branding over distance, but experts stress that e-commerce branding is just as important as retail marketing. In fact, it may be more important because the consumer can’t touch or feel the product first. They have to make a purchasing decision based entirely on the information made available through the e-commerce website. All of the other design trends still apply. Consumers still care about sustainability, even in an e-commerce space and customers still have the ability to shop. Beverage producers will need to continue to experiment with options that help them achieve visual appeal, product protection, and optimal shipping efficiency.